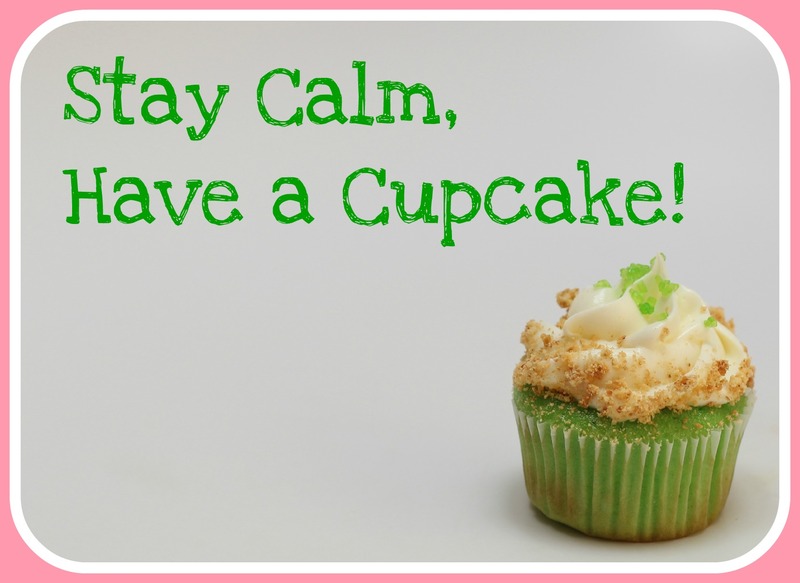 free recipe | Stay Calm, Have A Cupcake! Happy Wednesday! How’s everyone holding up? With only 18 days until Christmas, I’m sure you’re all as busy as I am. In your mixer (or with a handheld mixer) beat the butter until it is soft, then add sugar and continue to beat for about 3 minutes. Add the eggs, one at a time, mixing until they are well combined. 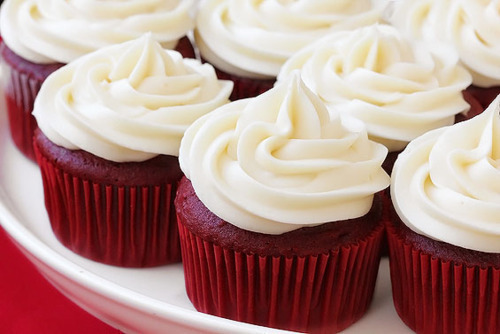 While your cupcakes are baking, let’s work on the frosting! In your mixer beat the butter and cream cheese on med-high speed until light and fluffy. Add in the crushed Butterfinger and mix for another minute. Later this week I will be sharing a recipe for Snow-Cap Cupcakes! Have a great week everyone. 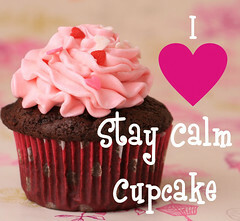 Stay Sweet!! Happy Friday! It feels so good to know that in a few hours, my weekend will be here! 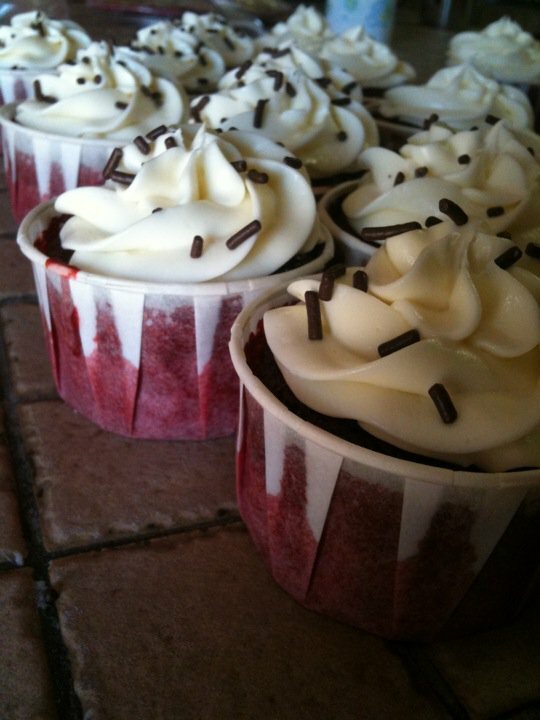 I recently made red velvet cupcakes for a friends birthday and rembered just how much I love this recipe. Its such a great recipe that I am recycling this post from when I originally posted in over a year ago. Enjoy! Red Velvet cake and I used to have a bittersweet relationship…I could never get the recipe “just right”. 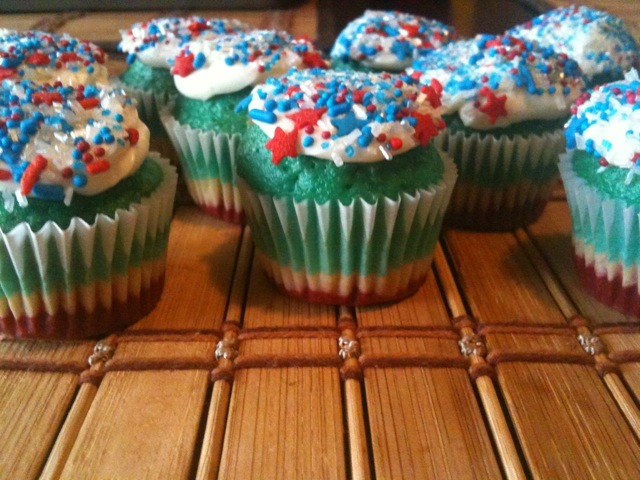 That was until I found a recipe that I actually like, and am capable of creating. I adapted this recipe from Bobbly Flay’s show “Throwdown with Bobby Flay”. 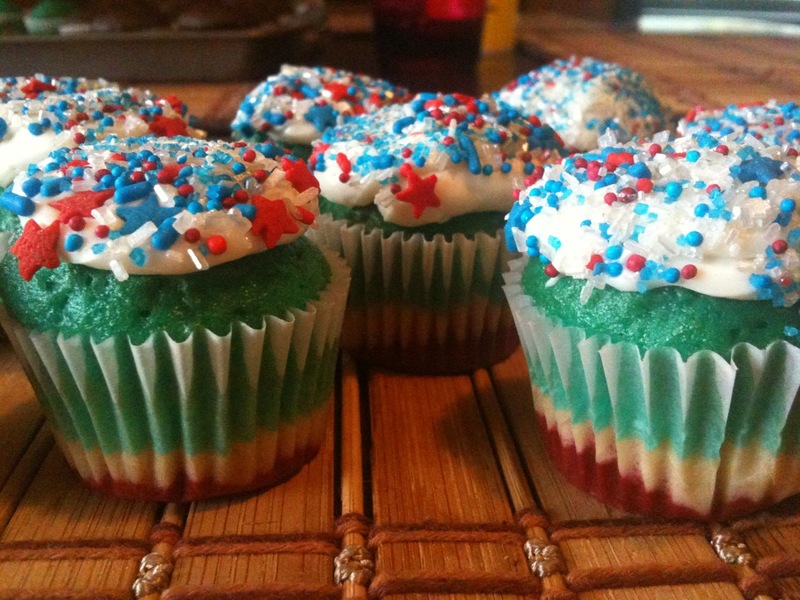 Enjoy the recipe, and enjoy all the praises you’ll get when you pass these little guys out. In a mixer fitted with the paddle attachment, mix oil, sugar, and buttermilk until combined. 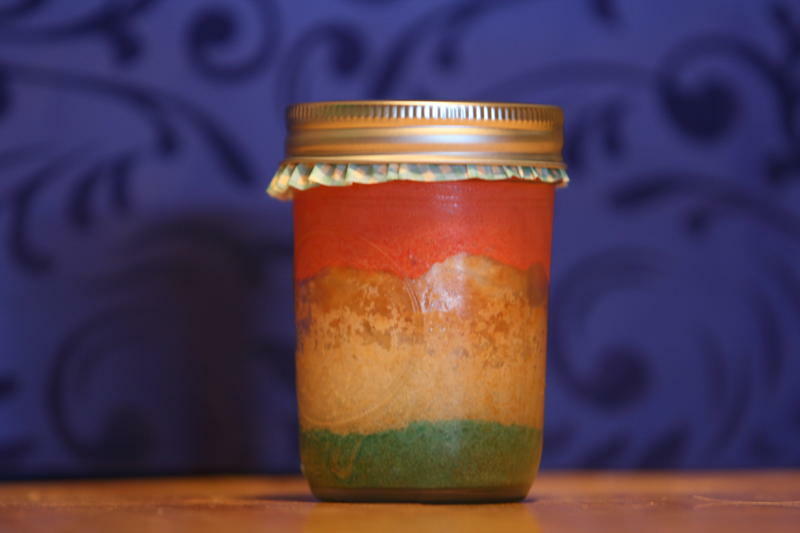 Add eggs, food coloring, vinegar, vanilla and water and mix well. Add the dry ingredients a little bit at a time and mix on low, scraping down sides occasionally, and mix until just combined. Be sure not to over mix, or the batter will come out tough. Beat on medium high speed until desired consistency is achieved. 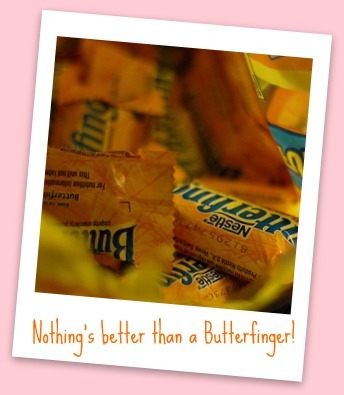 I hope everyone had a great weekend filled with yummy sweets and lots of relaxing. My weekend was packed with lots of baking, birthday parties, and puppy love. If you follow me on Facebook or Twitter, you will know that I recently got a new pup. His name is Hugo and he is such a love. I’m a new dog mom, so if any of you have advice, don’t be shy. Fill me in! Let’s get to the sweet stuff though. 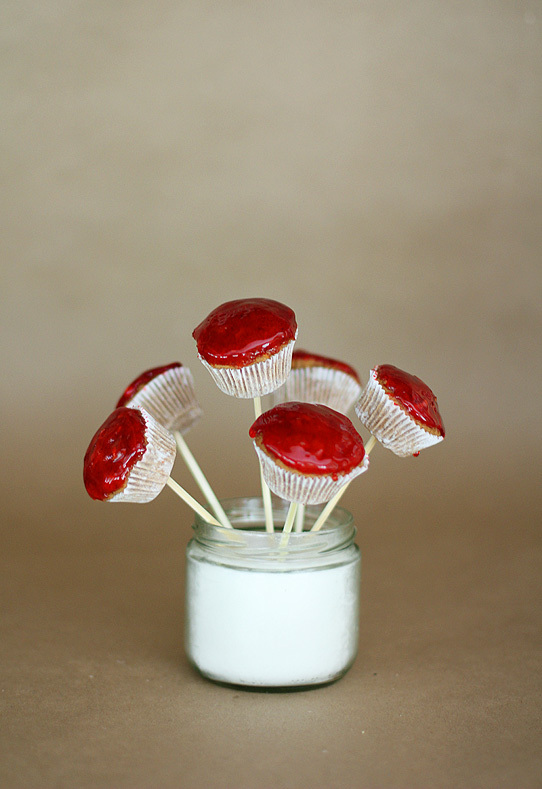 I’ve been busy in the kitchen getting ready to launch all of my fall flavors on my Etsy shop. In doing so, I have come up with some awesome recipes that are sure to be huge hits at your office parties, family dinners, holiday get-togethers, and more. I really love the flavor combination that a candy apple provides. 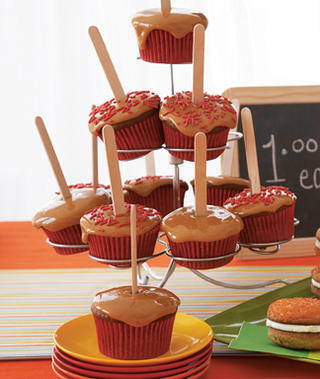 With the start of school, it seemed like the perfect time to make candy apple cupcakes. A little sweet, a little tart, a lot of yummy! 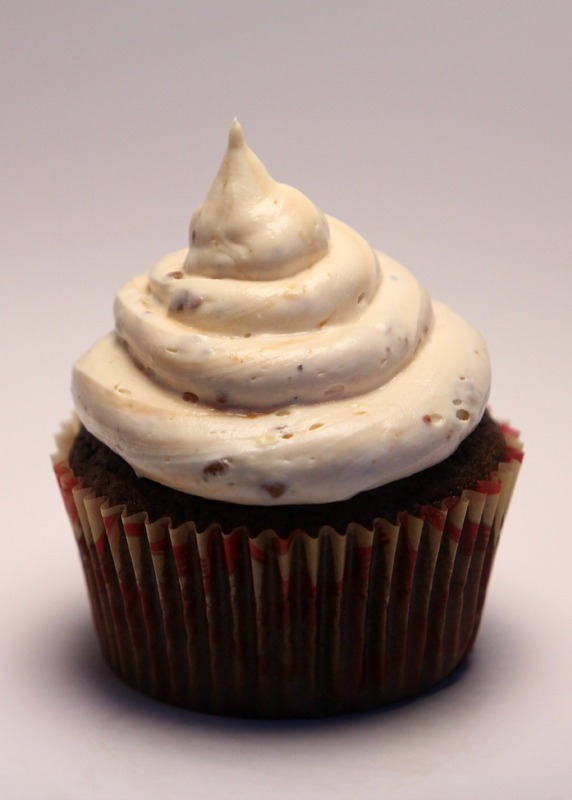 Almost a year ago, a friend of mine sent me a recipe for Caramel Apple Cupcakes. 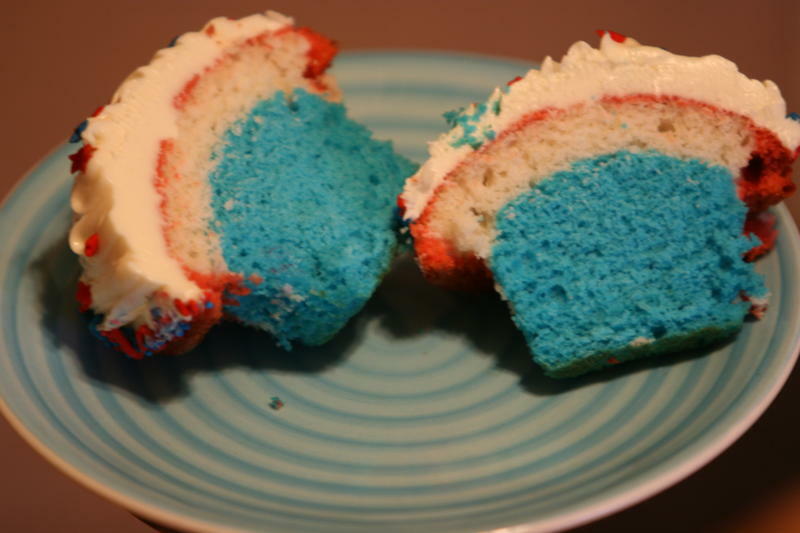 This recipes is very similar, but with a twist in the frosting. 1. Preheat your oven to 350 degrees. Prep a cupcake pan with liners. 2. In a large bowl whisk together the flour, sugar, baking powder, baking soda, salt, cinnamon and nutmeg. 3. In a mixer, stir the eggs, butter, and applesauce and lemon juice. Mix until combined. Carefully add the dry ingredients. 4. Peel and slice the apple. Then using a grater, grate the apple into fine shreds, like cheese. You can also chop it finely which works just as well. Now stir the shredded apples into the batter mixture. 5. Bake for 15-20 mins, I find that 18 minutes works best. 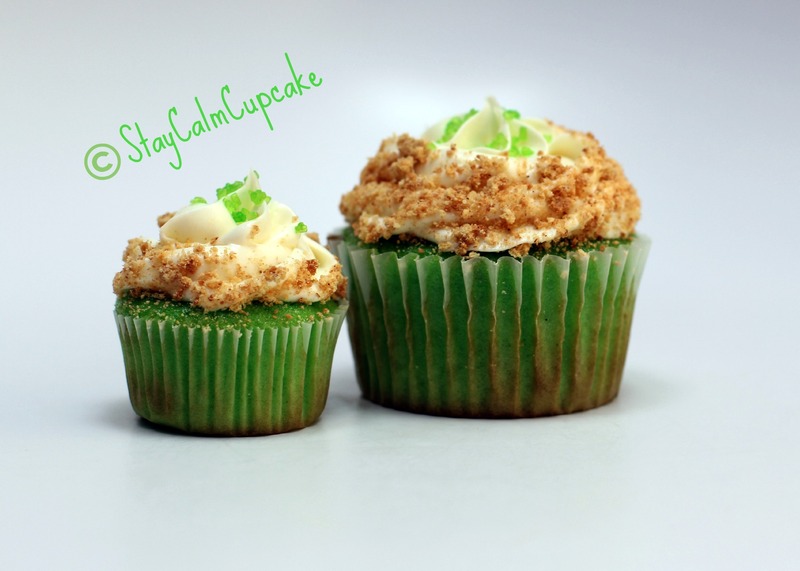 You don’t want the inside of the cupcake to be mushy. I used a vanilla frosting base and drizzle red candy syrup over the top. 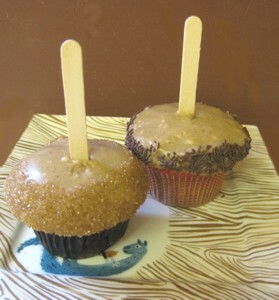 I have seen people forgo the frosting and just dip the cupcake into the candy syrup (photo below). Either way will work and either way will be delicious! 2. In a saucepan on medium heat, melt the butter and brown sugar. When they are melted and bubbly, add the milk. Carefully raise the heat and bring the mixture to a quick boil. Careful – you don’t want to burn it. Once it foams up and turns that lovely caramel color, take it off the heat immediately. 3. Remove pan from heat and stir in the remaining 2 cups of powdered sugar and vanilla, cinnamon and both apple and lemon juice, mixing until frosting is smooth. 5. Once cool, slowly pour into your mixer and combine with the butter and sugar you previously prepared. Mix until light and fluffy. If your frosting is to thin, add more powdered sugar. 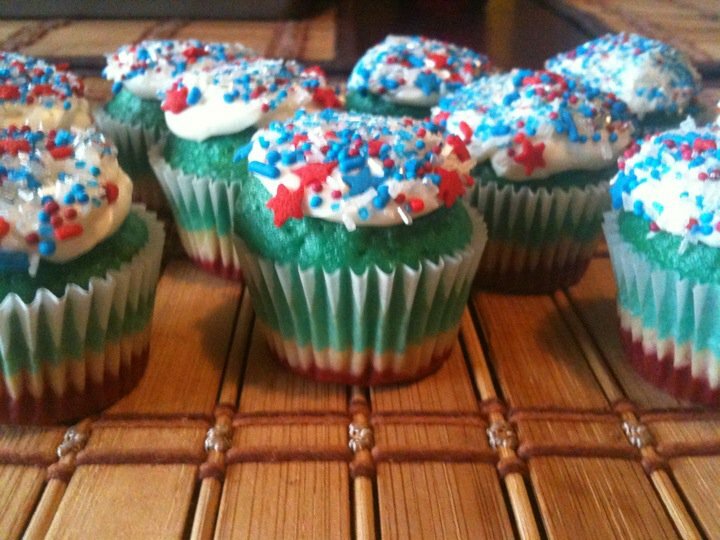 When candy is done, drizzle it over each cupcake. 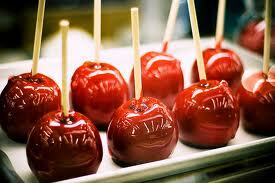 It will harden and make a very delicious topping for y our Candy Apple Cupcakes.